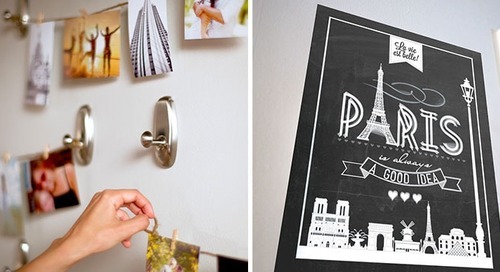 Looking for the best way to decorate a dorm room or small apartment? Make your new space your own with these easy DIY room décor ideas, including the best way to hang cardstock prints and posters without damaging artwork or walls! A variety of personal items: backpacks, jacket, keys, etc. Let your personality shine through with an accent wall of your favorite printed artwork or posters. For a small print, use two Command™ Poster Strips, one in each upper corner. 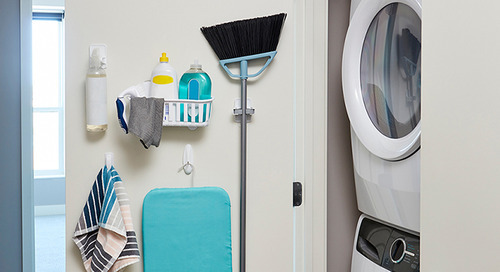 Small spaces need all the help they can get when it comes to improving functionality. Luckily, Command™ Brand offers many decorative hanging options that can lift your personal items off the ground. Include the Command™ Mirror Organizer for keys, sunglasses and a watch; a Command™ Jumbo Hook for your backpack; and Command™ Terrace Hook for a hat or jacket.